Welcome to Select Bed and Breakfasts, a comprehensive directory of the best B&Bs and Inns in North America. We understand the finer points of hospitality and luxury when it comes to bed and breakfasts. Indulge yourself in a lifestyle of luxury at one of more than 2,186 recommended 5 star bed & breakfasts and the unparalleled comfort they offer. Select Bed and Breakfasts provides travelers looking to book a bed and breakfast the opportunity to compare the features and amenities of one bed and breakfast inn to many others, all in one place. Whether you're looking for a romantic bed and breakfast or an intimate country inn, we can help you find the best bed and breakfast for you. Using Select Bed and Breakfasts is 100% free, no sign-up or login required. We are ad-supported making this no cost to you! Whether it is for a romantic getaway or a special event celebration, there is a bed and breakfast just for you. 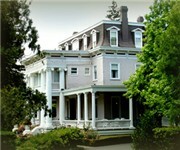 From charming quiet inns to trendy boutique bed and breakfasts, we feature thousands of five star bed and breakfasts around the US offering exquisite accommodations, unique food experiences and personalized service, providing you a memorable, one of-a-kind experience. Select Bed and Breakfasts is a comprehensive directory of bed and breakfasts, country inns, urban bed and breakfasts, guest houses, historic hotels, and small resorts. Our extensive B&B directory helps you to find the best bed and breakfast inn, whether you are looking for a particular location and amenities or for a special event such as a wedding or honeymoon, we can help you find the best bed and breakfast to meet your needs. We offer a extensive information to enhance your B&B travel experience. Hotel guests can post reviews and rate their favorite bed and breakfast experiences. You can also read reviews compiled from all over the Internet about the very best bed and breakfast experiences by travelers. We strive to help you find the very best of what a bed and breakfast has to offer. 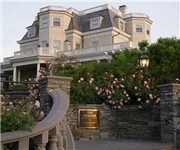 Do you know of a luxury bed and breakfast hotel or inn we do not have listed? If you can recommend a B&B that offers guests an exceptional experience please let us know. If you are an innkeeper and your inn is not yet listed please let us know as well! Click here to add a bed and breakfast.